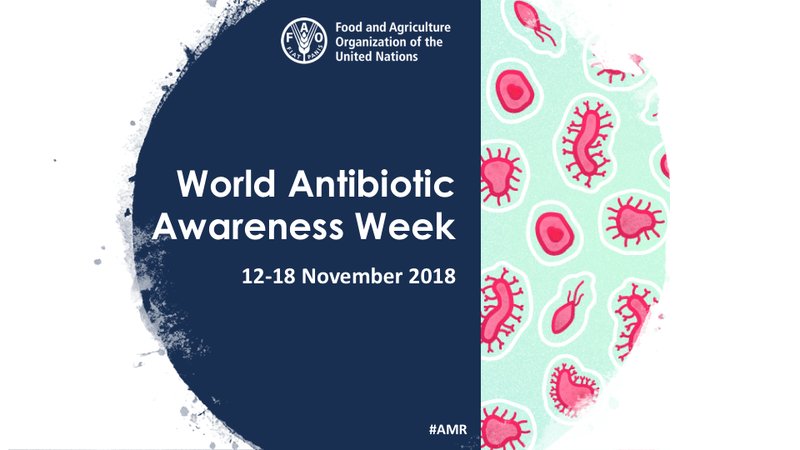 The World Antibiotic Awareness Week (WAAW) is a global campaign to promote prudent use of antimicrobials such as antibiotics and raise global awareness of antimicrobial resistance (AMR) or antibiotic resistance. This year’s WAAW will be celebrated from 12 to 18 November. The WAAW Campaign will still carry the slogan of “Handle antibiotics with care.” The global Tripartite (Food and Agriculture Organization of the United Nations, World Organisation for Animal Health and World Health Organization) agreed to focus on promoting the objectives of the global action plan on AMR as a main theme in this year’s campaign. At the FAO Regional Office for Asia and the Pacific in Bangkok, FAO is marking the start of WAAW along with Tripartite partners and the United Nations Environment on 12 November. Representatives from the Thai government, universities and private sector have been invited to hear the latest development in the regional campaign to mitigate antimicrobial resistance (AMR). The latest AMR publication will also be launched to mark the WAAW celebrations. For more information about FAO’s AMR work, please visit the AMR page.